Breckenridge Grand Vacations welcomed Blake Davis to the BGV family as Chief Financial Officer, in November 2016. Blake brings 23 years of commercial banking experience to BGV and is the current President at FirstBank of Summit County, where BGV has worked closely with him in business endeavors throughout the years. Blake grew up in St. Paul, MN and holds a BA in Business and Mathematics from Concordia College in Moorhead, MN. 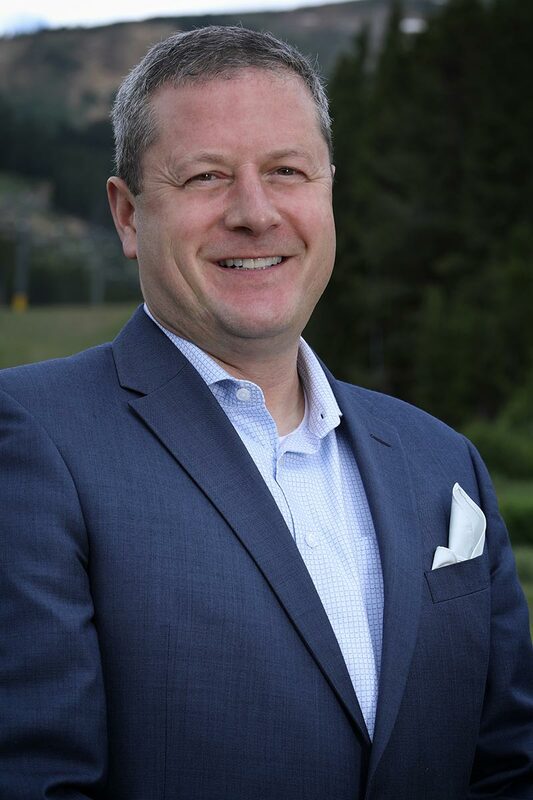 Blake has been an active member of the Summit County community for over two decades, where he serves as a board member with the Summit Foundation. Blake and his wife, Toni Davis have been married for 18 years and have three children: Haley (16), Nick (14) and Lindsay (11). Blake’s hobbies include playing hockey, hiking, biking and spending time with his family and their two-year-old energetic pug named Lucy.